What do Oromo protests mean for Ethiopian unity? As protests in Ethiopia over the rights of the country’s Oromo people continue, Addis Ababa-based journalist James Jeffrey considers if they are threatening the country’s unity. 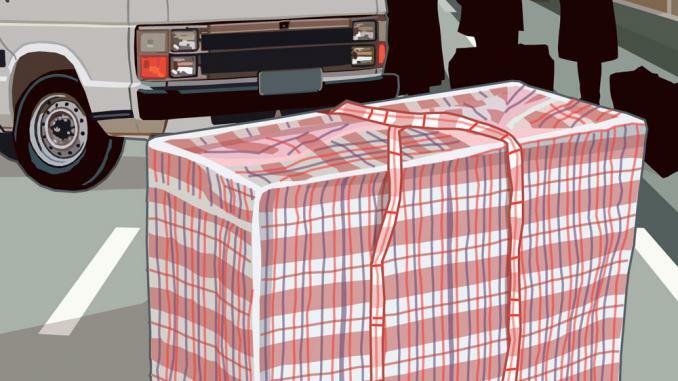 The latest round of bloody protests over Oromo rights had a tragically surreal beginning. A bus filled with a wedding party taking the bride to the groom’s home was stopped at a routine checkpoint on 12 February near the southern Ethiopian town of Shashamane. Local police told revellers to turn off the nationalistic Oromo music playing. They refused and the bus drove off. The situation then rapidly escalated and reports indicate at least one person died and three others were injured after police fired shots. The exact details of the incident are hard to verify, but what is clear is that days of protest followed, including armed local militia clashing with federal police, leaving seven policemen dead, the government says. Since last November, Ethiopia has seen a third phase of the recent unrest in the Oromia region which has been unprecedented in its longevity and geographical spread. 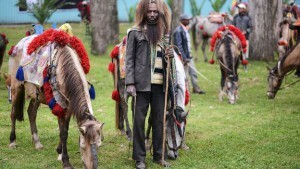 The region is the largest in Ethiopia and the Oromos, who make up a third of the population, are the biggest of the country’s more than 80 ethnic groups. 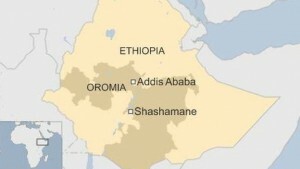 Initially the protests were in reaction to a plan to expand the administrative border of the capital, Addis Ababa, which is encircled by Oromia. 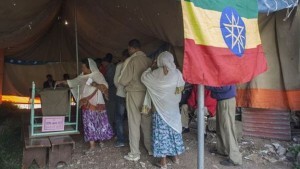 But even after the region’s governing party, the Oromo People’s Democratic Organisation, which is part of Ethiopia’s governing coalition, shelved the plan in January, protests have continued. “There is a strong sense of victimhood, extending back 150 years,” says Daniel Berhane, a prominent Addis Ababa-based political blogger, covering Ethiopia for the website Horn Affairs. 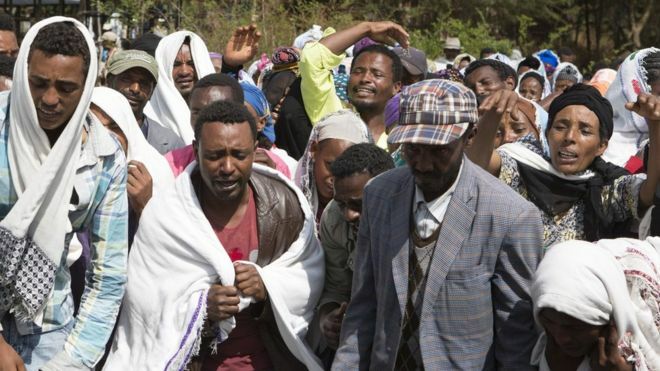 Despite there being an ethnic basis to these protests, observers say that the deeper issues behind them, frustrations over land ownership, corruption, political and economic marginalisation, are familiar to many disenchanted Ethiopians. The numbers killed since November following clashes between protesters and security forces given by international rights organisations, activists and observers range from 80 to 250. 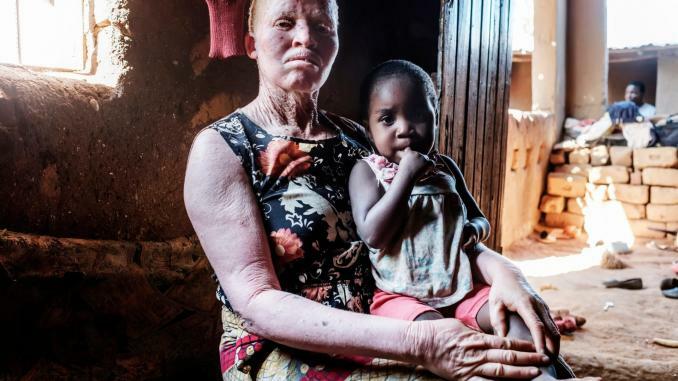 The government has dismissed various death tolls as exaggerations, and said that a recent report on the situation by the New York-based Human Rights Watch (HRW) was an “absolute lie“. Ethiopian citizens had a right to question the plan to expand Addis Ababa, but the protests were hijacked by people looking to incite violence, according to government spokesman Getachew Reda. He says the security forces have faced “organised armed gangs burning down buildings belonging to private citizens, along with government installations”. 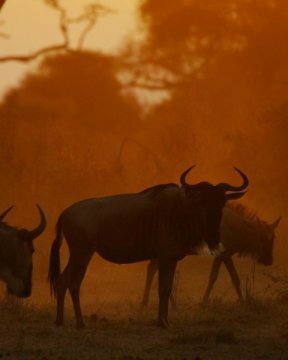 A security analyst who closely watches Ethiopia says “there could be radical elements and factions taking advantage, but you cannot define a movement by isolated events”. Despite violent incidents, the protests have been described as “largely peaceful” by HRW and observers in Ethiopia. “There is a perception of lack of competence in governance on the ground,” Mr Daniel says. In its defence, the government says it heeded the call of the people when it came to concerns over the Addis Ababa plan, and observers say the government deserves credit for withdrawing it. But the same political observers add that the government must allow Ethiopians to exercise their constitutional right to protest, and handle events in a way that does not escalate violence. The government has said that the protests and information about them have been manipulated by foreign-based opposition groups who are using social media to exaggerate what is going on for their own ends. “The diaspora magnifies news of what is happening, yes, but no matter how much it agitates, it cannot direct [what’s happening] at village level in Ethiopia,” says Jawar Mohammed, executive director of one of those accused of fomenting conflict, US-based broadcaster Oromia Media Network (OMN). Mr Jawar says the imprisonment of leaders of the Oromo Federalist Congress party, Oromia’s largest legally registered opposition political party, along with thousands of other Oromo political prisoners, makes it difficult to negotiate a lasting solution. This is a long way from the heady days of Ethiopia’s new federal constitution after the overthrow of the military dictatorship in 1991. That introduced a decentralised system of ethnic federalism, but this jars with the dominance of the governing Ethiopian People’s Revolutionary Democratic Front (EPRDF), which, along with its allies, holds every seat in parliament. “The ruling government is a victim of its own success,” the security analyst says. He adds that the government has expanded basic services and infrastructure, and appears to respect different cultural and ethnic identities, but it cannot reconcile this with its more authoritarian decision-making process. The government’s hitherto successful job of holding together this particularly heterogeneous federation is not about to crumble, according to observers here.